Robotics and Cognitive: How are They Applied in Business Process Automation? If your job involves looking into digitization opportunities and automation of business processes, it’s not far reaching for you to come across awareness for robotic process automation (RPA) and cognitive automation. RPA is not new; it has been around for many years in the form of screen scraping technology and macro. There are many bombastic definitions and descriptions for RPA (robotics) and cognitive automation. Often, marketers even refer to RPA and cognitive automation, simply interchangeably with the A.I. (artificial intelligence) umbrella. Perhaps, the easiest way to understand these 2 types of automation, is by looking at its resemblance with human. 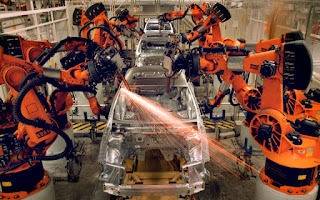 Look at the robotic arms in assembly lines, such as automotive industry. 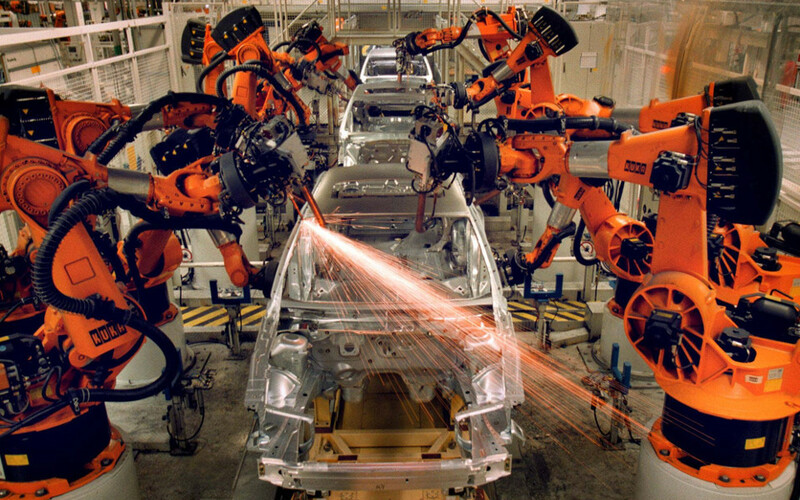 A robot doesn’t have to “think”, but to repeatedly perform the programmed mechanical tasks. It repeats what have been programmed into it. Similarly, in the software context, RPA is about mimicking human actions in an automated process. Automatically extract information (using OCR) from a payroll account statement submitted as part of loan facility application, then, calculate 3-month average income, and compare that with the applicant’s declared earnings. Automatically repeat a sequence of clicks in a standalone software to generate cost analysis over a material costing optimization proposal. Innov8tif Reserves All Rights to All Contents Published in this Blog, Unless Attributed Otherwise. Simple theme. Powered by Blogger.